The increasing popularity of the Internet, both with access through PC/Mac and Mobile devices (smartphones, tablets, etc. ), and its growing role as a primary tool of multimedia interaction, forces companies to consider video contents as a key element of their Communication and Marketing campaigns. Video marketing is by now an indispensable tool to attract the always growing pool of users seeking and appreciating video contents on the Web. If in 2010 less than 19% of companies used videos on their Website to promote products and services, and less than 10% took in consideration Communication and Marketing campaigns through videos, at the beginning of 2013 these numbers were already doubled. At the beginning of 2013, it was found that 58% of the population watched more movies on the Internet that on television, for information, to have fun and to choose what to buy. A 2012 research by Forrester Research revealed that an average of 4 seconds are necessary to hook a visitor who opens the page of a Website. But if the page contains a video, the average visitor watches the page for more than two minutes, and is 20 times more inclined to buy the products and/or services offered. Forester Research also revealed that the use of videos in the E-Mail Marketing increases returns by over 90%: for this reason the number of Marketing and Communication experts who plan the use of videos in Email campaigns increased fivefold from 2009 to 2012. If images "speak" more than words, then videos with great communication potential and strong emotional impact are even more effective and attractive to websites' visitors. Therefore, using videos in the commercial sector by studying specific Video Marketing campaigns is not only a necessary, but an essential step in order not to be surpassed by the competition. Videos carefully designed to enhance the characteristics of a product, a service, an event, can lead to extraordinary results in terms of interest and positive reaction to what is being offered, resulting in a very high percentage of conversions and a pleasant memory of the brand. A word of caution, though: even the best video in the world can become a flop if it was not properly designed and adequately spread on the Internet. 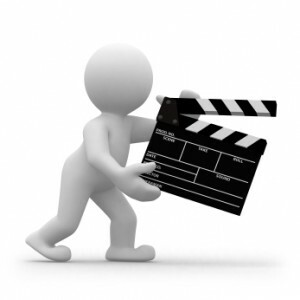 Video marketing, therefore, is a process as important as that of video production. Our video marketing services are the result of years of experience, in which we always offered custom solutions to Public Agencies, businesses and professionals seeking a qualified partner to promote their organization, products and services, as well as initiatives and events. With our video marketing services you will be able to conquer new markets and acquire new clients also during difficult economic times. We can design for you, after a careful analysis of your needs and after the definition of certain and measurable goals, video marketing projects that will bring your company, your products, your initiatives and events, to be recognized and appreciated, used and sought after, by an increasingly larger audience. Not just words but tangible facts, real and measurable results: our main goal at Ability Services is to ensure that our video marketing services continue to meet all your needs. And we have been doing it since 2008, offering to all our customers, from large companies to small commercial and professional businesses in various fields, the benefits of operating with a Communication agency capable to offer personalized consulting services at every levels, always guaranteeing quality, effective solutions and an excellent quality/price ratio. Analysis of needs through the collection of information regarding goals, target audience, company and brand characteristics. Creation of the campaign with participation of our creative staff and development of a video script submitted to the client for approval. Pre-production, Production, Post-production of the advertising video, with optimization to ensure maximum visibility also from a search engine optimization standpoint. Video distribution with installation of the video on the customer's website or on a specifically registered domain name, and seeding activity on Youtube, with promotion on Social Networks and Blogs. Result analysis with preparation of periodic reports on the number of views and interactions with the video. Video marketing is a strategy that includes the creation of promotional videos, or viral videos, to promote products, services, and events by broadcasting a video. From this derives the term video marketing, which considers this type of marketing one of the emerging and increasingly more used tools to convey a message to end users who love to watch videos online. In video marketing, the message is spread through video distribution platforms, such as Youtube, and by publishing the video on the website. The term video marketing refers to the communication and distribution of advertising news through videos. Video marketing is the evolution of the use of images and sounds to communicate. Before marketing using a video, it is obviously necessary to produce the video and at that stage it is necessary to have experience in video marketing, since in creating the script of the video it is necessary to define the passages that will make the video a good marketing tool. Video marketing, to create videos that can maximize the results of the video itself. Our video marketing services are at your disposal to allow you to spread the news about your products and services using video marketing techniques. With our video marketing services, you will be able to be ahead of your competitors by offering to the audience of your potential customers/members/users, interesting and attractive videos that rank excellently on search engines for keywords relevant to you. The purpose of the video marketing services is similar to that of the TV: let people know about your brand and spread your values through advertising. Video marketing services are the future of Web communication. With our video marketing services it is possible to obtain excellent results and a ample diffusion of the news about your product, service and brand. This video marketing service technique is increasingly more commonly used for all types of products and services. The video marketing services are a new frontier in online communication and promotion. In fact, social networks such as YouTube make video marketing services almost an obligated choice. With the video marketing campaigns, it is possible to combine the advantages of video communication with the need to attract users to a web page, by positioning the video on the first pages of the search engines and on the Video Sharing Networks. The future is here, with out Video Marketing campaigns. All you have to do is to decide whether to exploit the Web video revolution, a certain fact by now that makes Video Marketing campaignspossible to use to advertise through videos. Our team of video marketing campaign professionals is ready to review your products and services to create the video marketing campaign that is most suited to your type of business. In the video marketing campaigns. Often, a video marketing campaign is planned with the intention of turning it into a viral video, even if the results are not always the expected ones. This, most of the times, depends on the end users who play an important role in the success of your video marketing campaigns. It is clear that YouTube is a strategic tool for campaigns especially designed for marketing on Youtube. It is important not to think of the YouTube videos as something similar or equal to what is done on TV, the traditional marketing push. That does not work on the Web: the videos must attract those who watch them. They must entertain and tell genuine tales. Marketing on Youtube requires experience and creativity from professionals expert in marketing on Youtube. For your marketing campaigns on Youtube, count on Ability Services, a specialized communication agency that will be able to guarantee the success of your marketing campaigns on Youtube.